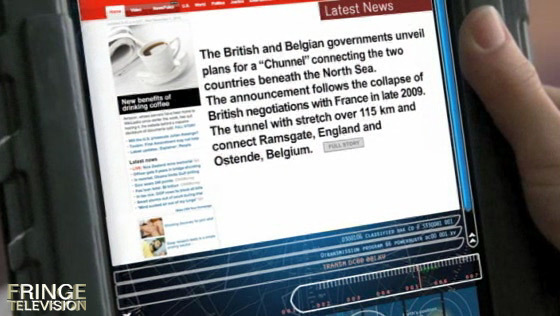 The British and Belgian governments unveil plans for a "Chunnel" connecting the two countries beneath the North Sea. The announcement follows the collapse of British negotiation with France in late 2009. The with stretch over 115 km and connect Ramsgate, England and Ostende, Belgium. For comparison, the chunnel in our universe connecting the UK and France is 50 km. Also, it's nice to see there are typos in the other 'verse. Why do American's insist on calling it the "Chunnel"? Not all words need to be combined into one ridiculous sounding one. "The tunnel with stretch over 115km ..."
"The tunnel will stretch over 115km ..."